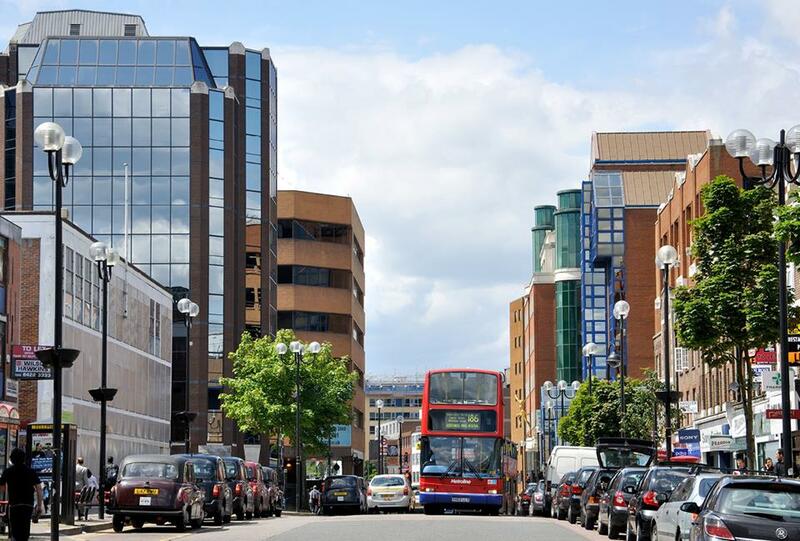 Harrow town centre lies to the north of Harrow on the Hill and 12 miles from central London, and in modern times the Metropolitan Tube line, rather than Harrow Road, has shaped the area. The poet Sir John Betjeman came up with the name “Metro-Land” for the large swathes of north-west London that were developed after the arrival of the line, and in the Twenties and Thirties areas such as Harrow became commuter suburbs with streets of semi-detached and detached three- and four-bedroom houses, some influenced by the Arts & Crafts movement, others in mock Tudor or Art Deco styles. . Harrow’s main town centre is among ten of the largest retail centres in London, with two shopping centres – St Anns and St Georges, which are home to all of the major high street brands.